Source NASA: During a solar eruption, a growing mountain of plasma culminated in an avalanche-like fall back to the surface. 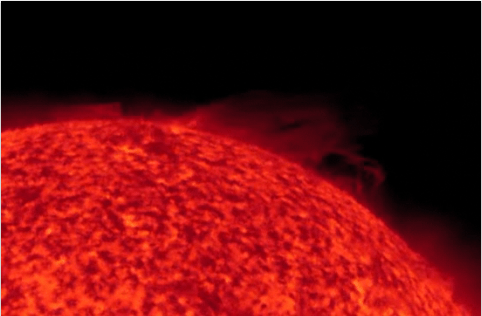 NASA’s Solar Dynamics Observatory was on hand to record the event (Credits: NASA / SDO / Music: Cheryl Pyle). The Sun is currently undergoing major period of activities, culmination of the 11 years cycle.